Home / Health tips / How To Overcome Menstrual Pain Naturally? Overcoming menstrual pain certainly varies according to the preferences of each individual. Menstruation is a routine cycle experienced by women when the uterine wall decay occurs. This cycle often causes pain in women who are coming to the moon. This pain can also vary in types and levels of pain. The difference depends on the woman herself and the stability of her hormones. Menstrual pain or also called dysmenorrhea is a pain that is often experienced by women every menstruation. At least 3 out of 4 women experience mild dysmenorrhea and 1 in 10 experience severe symptoms. 1. Perform Stomach Compress with Warm Water. The increase in prostaglandin hormone production a few days before menstruation makes the muscles of the body contract tightly causing abdominal cramps and back pain. It can overcome by attaching warm water compresses to painful parts of the body. Warm temperatures widen blood vessels so that blood flow and oxygen supply can more easily reach the affected area. Smoother blood flow helps relax the tightened and stiff muscles, thereby reducing menstrual pain. Soak the towel in lukewarm water (40-50º C) and squeeze the excess water before sticking it to the skin. You can also fill a plastic bottle with hot water and wrap the bottle with a washcloth before putting it on the skin. Warm compresses may be repeated several times a day until the pain has subsided, but do not apply more than 20 minutes for one session. If you want to repeat, rest your skin for about 15 minutes before starting to compress again. 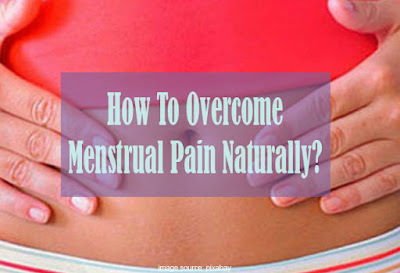 Overcoming pain during menstruation can be done by compressing the stomach using cold water. Cold compresses are made using ice cubes or towels soaked in ice water. This cold compress is not only placed on the lower abdomen, but also on other parts of the pain. It is the opposite of warm compresses that can help blood vessels to bud. Muscle contractions can be reduced and the metabolism returns to running smoothly. Keep in mind, this compress must be done carefully, so as not to cause skin tissue to experience necrosis (cell death). Cold compresses are recommended for no more than 30 minutes. In a journal released by the Journal of Agriculture and Chemistry, there are certain ingredients in chamomile tea that can reduce pain. The study showed 14 people who participated in the study had a significant increase in hippurate levels. Hippurate is a compound in the body that acts as a natural anti-inflammatory. This anti-inflammatory can help reduce prostaglandin production and reduce menstrual pain. Ginger has compounds that are considered effective for reducing inflammation and pain, including menstrual pain. In addition, ginger can also reduce the symptoms of nausea that sometimes often appears during menstruation. Bring the pieces of ginger with the tea leaves in hot water. Add a little honey, so it's better. Avoid these drinks if you have gallstones or stomach ulcers. 5. Consume herbs of sour turmeric. Sour turmeric is a kind of herb that you can make yourself. This herb from turmeric and sour turns out to be able to overcome pain in menstruating women. If you want to make sour turmeric yourself, then you can do it by boiling enough turmeric and then adding the cooking water filter with tamarind and brown sugar. Boil the mixture again until it boils and you can immediately consume it. You should consume it in warm conditions. 6. Maintain a Regular Diet. 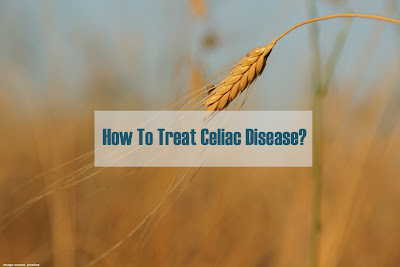 A regular diet can help the process of overcoming pain during menstruation. The menstrual cycle can not be denied will affect one's mood, so that appetite can also be disrupted. Appetite can be reduced and cause you to miss your eating hours. You need to pay attention to your eating hours and keep them up regularly. You also have to eat in normal portions. Don't consume too much food during menstruation. It will only produce obesity. 7. Avoid certain foods and drinks. Fatty foods, soda, alcohol is a type of food and drink that you should avoid. These foods and drinks can cause bloating and water resistance in your body, which worsens menstrual pain. In addition, caffeine is also one that you need to avoid. Caffeine found in coffee, tea, soda, and chocolate can aggravate cramps and tension in the stomach. Likewise, the consumption of sugar which is usually found in caffeinated foods and drinks. You can replace coffee and tea with a warm ginger or lemon drink. Ginger and lemon can help reduce abdominal pain and provide a calming effect. A warm bath is part of a relaxation effort. No need to worry about bathing at night causing rheumatism, because this is not true. But about bathing in warm water, it should be noted the duration of bathing, especially for owners of dry skin. Use clothes that are comfortable and not too tight when worn. Clothing that is too tight can cause a person to become tight and blood circulation will not be smooth. It certainly makes pain worse. Apart from being circulated to meet the deficiencies in other parts of being late, it can also cause by a mood that is damaged by a small shirt. Adequate rest is the key and medicine for various problems. Included also in terms of overcoming pain while menstruating without drugs. Few people realize that lack of sleep in a person can cause the pain that appears to be increasingly becoming. Follow the ideal instructions for sleep at 9 o'clock. Avoid sleeping above 11 pm because if you have activities in the morning, it can cause your condition to become less fit and menstrual pain to become more pronounced. If you have no activity during the day, take the time to take a nap for 30-60 minutes. It is suitable for producing a fit body and pain during menstruation can be minimized. 11. Avoid sleep in a prone position. Sleep in a prone position can aggravate the condition of pain as well as the body while menstruating. It can cause the pressure of the body of the abdomen will get bigger, and even more, blood will come out. Pain will felt, even more, when the amount of blood coming out is more and more. Therefore, avoid sleeping in this prone position. Besides, because the pain will be felt more, the risk of leakage while menstruating can be even higher. It is safer if you sleep on your back and free your stomach from any pressure. Exercising regularly but not pushing yourself too much can help reduce menstrual pain that occurs. Activities such as swimming, walking, or cycling can be done, even at low levels. 13. Lay down for a while. When you feel pain in any part of the body, the body will naturally reflex and instinctively look for positions that will relieve body aches. Try to find a lying position. Lay your body with your feet slightly lifted, and prop your feet with a pillow or other object. Another way to lie down is that you can lie on your side with your knees bent. Relaxation methods such as yoga and listening to soft music can help calm moods when you have menstrual pain. The goal is to reduce blood pressure so that the pain can be expected to decrease. Avoid while things that trigger pressure for you (stressor), this will further help you achieve relaxation. Perform a light massage in the lower abdomen. Perform massage with circular movements and light using the fingertips. You can use baby oil or cream to do massage. Baby oil or cream can also be aromatherapy at the same time making a relaxing effect and alleviating the pain you feel. Perform massaging movements with enough energy with not too strong, clockwise. The study, published in the Tobacco Control journal, examined 9,067 women for 13 years. The result, compared with women who never smoked, menstrual pain was 33 percent higher for former smokers. For smokers, the pain can reach 41 percent. The younger the age of smoking the pain that is felt during menstruation is getting sicker. "This study conveys an important message that smoking can affect pain during menstruation. So that women are better off distancing themselves from smoking," explained one researcher, Dr. Hong Ju from the University of Queensland. Some studies also state that consuming alcohol might risk menstrual pain will last longer. Alcoholic beverages can also change your menstrual cycle to become irregular and also affect your emotions when taken during menstruation. Also, read Risk of Hypertension in Women.